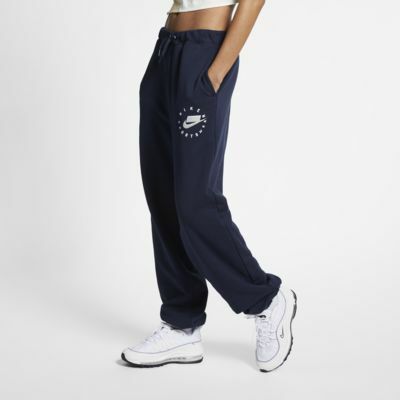 When it comes to comfort, the Nike Sportswear NSW Pants have you covered. Comfy French terry fabric and a loose fit lend a soft, spacious look that goes with anything. Knit French terry fabric is ideal for all seasons. A high waist and voluminous legs nod to &apos;90s style. 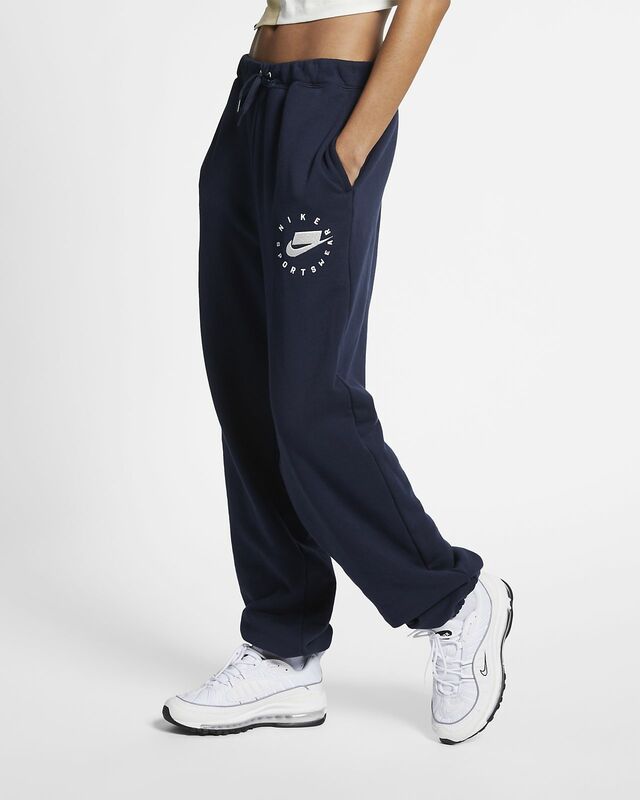 I love these sweatpants. The material and construction is quality, and they have a loose, comfy fit. I think they are intended to be a high-waisted style, but I fold the waistband over and wear them at my hips. The length is perfect (I’m 5’8”) and I like that I can fit the cuffs over my shoes without having to take them off when I leave the gym. Since these are loose fit, I ordered a size small. I normally wear a medium, but the small was still loose on me.